Pianist, composer and educator Jacob Sacks is this month’s artist feature. I have known Jacob for more than 15 years, and performed and collaborated with him almost from the start. He is an artist with integrity, honesty and deep artistry. From the very first time I heard him perform, I knew he was special. Jacob is an adventurous, free spirit with a deep knowledge, love, and respect for improvising and creative expression. We’ve shared countless meals at my home, his home, on the road, and everywhere else. Jacob a foodie and an awesome baker who, lucky for my husband, me and my son, loves to share his creations (cookie bars ring a bell, Chris – Ha!). Birthdays are always a treat when you know Jacob Sacks is baking the cake! Jacob’s favorite Korean dish is a dry anchovy side dish called “mulchi” (sounds unappetizing but guaranteed delicious when prepared correctly). Jacob discovered this particular dish while having a home cooked meal from my mom. Jacob arrived in NYC in 1996, starting out as a student at the Manhattan School of Music. Since that time, he has been known around town and elsewhere as a badass pianist and improviser. Jacob is a long-time member of multiple bands such as Eivind Opsvik’s Over Seas, Dan Weiss Trio, David Binney band, Ohad Tolmar Quintet, the late Paul Motian ensemble, my E-String Toy Band and our long time duo collaboration. Jacob is on numerous recordings (too many to mention) and is regularly performing on the NYC creative music scene. We’ve made three duo albums together, Soulmates (2002), Imagination (2008), and one which will come out this fall. Jacob and I are also both on a collective quintet album called 4inObjects (2006). Of course, my long time collaboration with Jacob has truly been a highlight throughout my musical life. Playing with Jacob has made me into a better musician and artist. Another wonderful side to Jacob’s musical skills is that he is an amazing teacher. I am always blown away by how clearly he presents musical concepts to young musicians and how he can get the students to explore and try out something that may feel new and unfamiliar. Jacob’s knowledge of the jazz tradition is kind of awesome and I feel like a student myself when he is talking about recordings, musical style and jazz musicians throughout history. 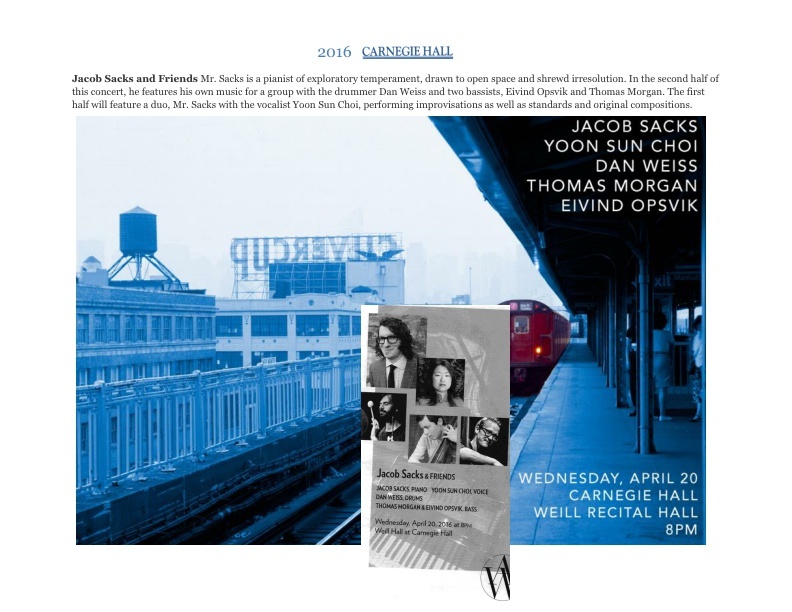 Jacob and I will be performing on Wednesday, May 28th, at Carnegie Hall and he will also be performing with his trio, Dan Weiss on drums and Thomas Morgan on bass in the second half of the program. If you are in NYC, come and see this rare performance on one of the world’s most reputable stages. On a more personal note, Jacob is my best friend. A kind, warm and generous individual that gives everything he’s got to his friends and music. I look forward to many more years of fun filled, crazy music with Jacob Sacks and of course, lots of his home-made birthday cake! See you at Carnegie Hall! Congratulations Ben! Once again Ben Scheuer‘s “The Lion” video has won yet another award. Feel honored to have been the additional vocals on this recording. Two weeks ago, I spent three intensive days at the Michael Howard Studios in Chelsea doing an acting workshop with master coach, Patsy Rodenburg. I am not an actor, so I had never heard of Patsy Rodenburg before and only decided to try her workshop on the recommendation of a friend. The thing that fascinated me about this workshop was watching some of Patsy’s videos on You Tube. Patsy is a remarkable storyteller and has an intense presence that is captivating. I wanted to know more about what she did and whether I could bring some of it to my own performances. Once I registered for the class, I was required to have a two minute monologue memorized for the workshop. Picking a monologue was a challenge because, I have to confess, I hardly know any Shakespeare. I have seen a few plays and watched a movie or two but never really checked out Shakespeare the way one really should. Anyways, I chose Queen Margaret’s monologue from Henry VI, part three, Act I, scene iv (once again a recommendation from the same friend who referred me to this workshop – thanks Nick!) My first reading of the text was humbling to say the least. I had no idea what I was reciting and I was beginning to think that I got myself into one pricey mess. After six weeks of work and lots of help from my husband, Mr. Smarty Pants, and Shakespeare’s words dot com, I could recite the monologue with real fiery contempt—or so I thought. On the first day of the workshop, the first two hours was an introduction of what was to come over the few days and everyone introducing themselves and why they were all particating in the classes. I was the only non-actor who wasn’t pursuing acting in the group although there was one opera singer who trains actors in voice work. Patsy mostly spoke about preparing yourself mentally and physically for the monologues. She described three “circles” of being. (Please understand that I am over simplifying these concepts and I don’t have real depth of knowledge on it). First circle is a passive state, a subservient, inactive place. Third circle is what Patsy called the “bully” state: overbearing, insensitive, and aggressive. The second circle is the active, present state. This is the place you want to be in. It is amazing how unaware you can be about your state of being. You don’t even realize at times that you are not engaged or present in the moment. Sometimes you think you are present but realize you are really in “Third Circle”. We worked on being aware of how our bodies are when we are not in “Second Circle” and to try to engage the body so that you are in “Second Circle”. On the second day we continued our work on being “present” and worked more on our chosen text of Shakespeare. One exercise that Patsy asked us to do was to recite the first word and last word of each line in our text. That was an incredible moment for me. For one thing, it was the same exercise which my piano teacher, Sofia Rosoff, asks me to do when learning music. Sofia calls it outlining and Patsy’s outline blew my mind! As I was reciting the outline I truly glimpsed for a moment the genius of Shakespeare. Everyone tells you that Shakespeare was a genius but I truly felt a connection and was awestruck by my discovery. That was a highlight over the weekend. On the final day of my Level I workshop (there was a Level II and III), Patsy worked with each participant in a masterclass forum from anywhere between 20 to 45 minutes on each monologue. That day started at 9:00am and went until 2:30am!! Patsy was a machine! I mean this woman worked with everyone and with only two 20 minute breaks and one 5 minute bathroom break during the almost 18 hour marathon of Shakespeare. The incredible thing about Patsy was that she never waned in her intensity with each person and she brought out remarkable results from many of the participants. When Patsy worked on my monologue, she stated that my voice was very clear and could be heard very well. But her criticism was that it sounded more like a speech rather than someone speaking to another individual. Also, I sounded mean and contemptuous. She wanted me to change the mood of my monologue. She wanted me to understand that Queen Margaret was almost in disbelief that the Duke of York had the audacity to try and take over the kingdom. Patsy really makes you understand that Shakespeare’s characters are relatable and that you can really understand and empathize with the character. When she asked me about Queen Margaret and how she felt. I began to get excited and exclaim that Queen Margaret was angry but feeling protective of her son and his right to the throne. I could feel my rage and hurt boiling inside me and at that moment Patsy said “Text, go!” I started to say my monologue and the tears and rage and pain were literally exploding out of me. The whole time I didn’t let go of Patsy’s intense gaze in my eyes. Her “Second Circle” presence energized me and even though I could barely catch the clarity of my voice how I know it, it feel absolutely incredible to experience that emotion and deliver my monologue! I don’t know if I was any good but it felt great! By the time we were all done, my brain and body were fried from fatigue but I was filled with excitement and inspiration at the same time. I was sorry that I wasn’t continuing onto the next level but it has only given me something to look forward to the next time Patsy comes to NYC to do another one of her workshops. Also, I have found a new love for Shakespeare and I want to continue learning more about his work and studying more of his plays. This month’s feature artist is Akiko Sasaki. I have known Akiko for more than seven years and I have to say that she is one of the hardest working people I know. Akiko has so many talents that it almost seems unfair to list them all. Outside of her musical talents as a classical pianist and Japanese koto player, Akiko is a gifted educator. She is also an amazing cook! We have cooked Thanksgiving dinner together for more than six years and I can’t even begin to recall all the meals we have cooked and eaten in the days between. Since 2009, Akiko has been following a macrobiotic diet and she is currently being certified in the “Master Your Health” program at the Strengthening Health Institute in Philadelphia. Even though Akiko eats in a ridiculously healthy way, here is her weakness: donuts! Her dark secret is out! She loves sweet, fried donuts!! Akiko has lived in NYC since 2002 when she arrived to pursue a masters at the Manhattan School of Music (granted in 2004). Throughout the years Akiko has pursued many projects but currently her main passions are her private teaching practice and Lyra Music, a three week summer intensive program for young pianists and string players held in Randolph, Vermont. 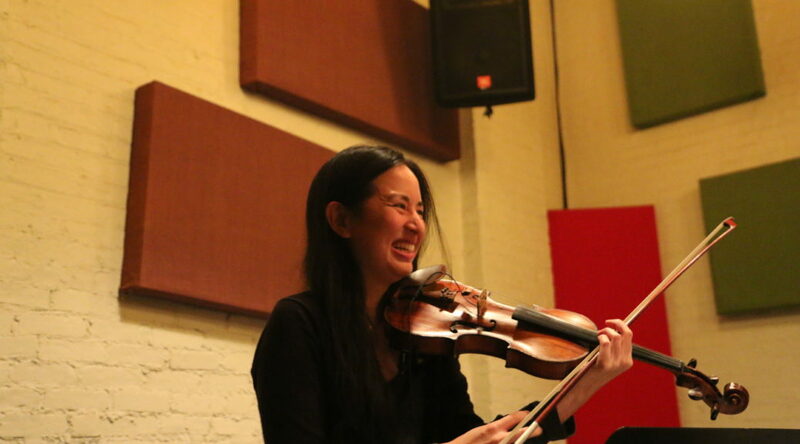 Akiko began Lyra Music in 2010 with her friend and colleague, Mary Prescott. Together they have created a wonderful program that gives young students a life enhancing experience through classical music. You can also see the competition in person at Shetler Studios in NYC (244 West 54th St, #12). Tickets are $15/$10 students & seniors, at the door. I only have great things to say about this woman and I admire her to the nth degree. Akiko is an amazing person with fiery passion and determination that get the job done. If you get a chance to see her perform live, please do. You will not be disappointed. This month’s artist feature is about my longtime friend, the gifted musician and bassist Thomas Morgan. I cannot recall all the meals that Thomas and I have shared over the years but in the last decade, Thomas has followed a macrobiotic diet and I have learned to make many delicious dishes to ensure that we continue sharing meals together. 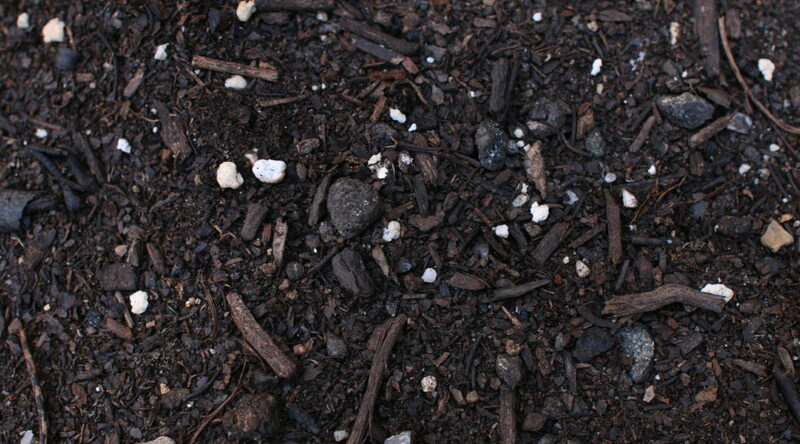 Thomas really enjoys my macrobiotic granola which I make whenever I get the chance. I met Thomas when he was at the tender age of 18 and even then, you just knew something amazing was happening with this young man. Thomas has been in NYC since 1999 and from the moment he began his studies at Manhattan School of Music, his performance career started to flourish. Now he is one of the busiest musicians I know. The first time I saw him perform was with the drummer Joey Baron, and guitarists, Steve Cardenas and Adam Levy at the no longer existing venue, Tonic in NYC. His clarity of sound and unbelievable sense of time were just two of the many amazing features of his playing. There are too many groups and projects to mention in which Thomas is an active member. Including my toy instrument band (in which he plays guitar!) and my quartet, Thomas regularly performs with guitarist Jakob Bro‘s trio, Craig Taborn‘s trio, Dan Weiss and Jacob Sacks trios and was a long time member of the Steve Coleman group, David Binney band and the late Paul Motian band. Most recently, Thomas has been playing with guitarist Bill Frisell. If you would like to check out Thomas playing live in the next month or so you will have to get yourself over to Europe. Currently he is on tour with Jakob Bro’s trio and will continue touring in Europe with pianist Giovanni Guidi. In April, you can check him out at drummer Dan Weiss’ CD release show at The Jazz Gallery on April 11 and 12. You can also hear him at Carnegie Hall (Weill Hall) with the Jacob Sacks Trio on May 28. I had my first gig in NYC with Thomas Morgan in 2000 and ever since then, he has been my favorite bass player and one of my favorite musicians ever. A little amazing fact about Thomas: he does not own a cell phone! How is that even possible this day and age? Just goes to show you that great talent can be sought out by any means necessary. I admire Thomas for having the ability to not be enslaved by modern technology. With a crazy schedule like his, not owning a cell phone is probably the best way to get a little quiet.